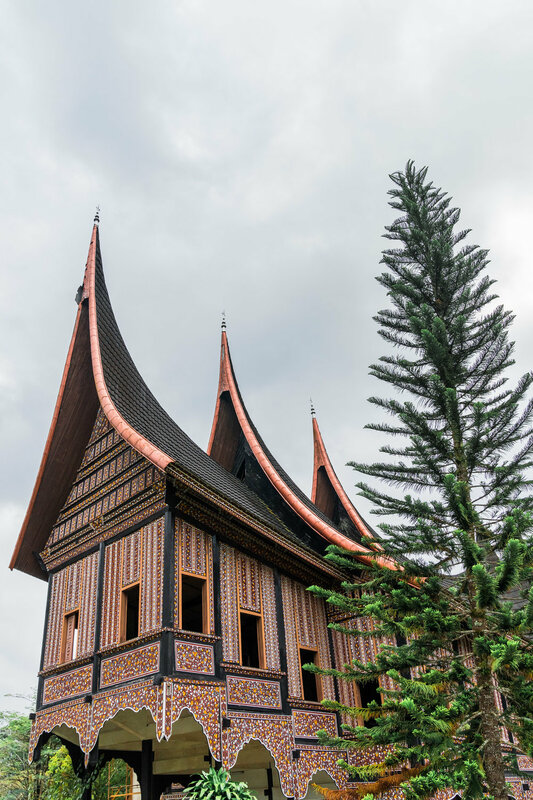 We flew from Jakarta to Padang and drove for about 40 minutes from the airport and to reach Bukittinggi. 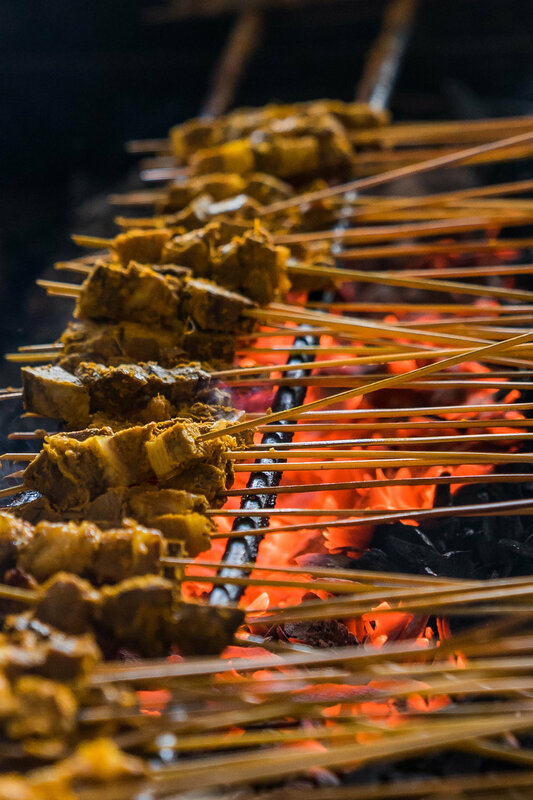 Our first stop for our adventure in Padang was Sate Mak Syukur in Minangkabau for the very famous Sate Padang Panjang. We were pretty excited to eat since we only had a few snacks on the way. Sate Padang Pajang is quite different from the usual sate. Upon seeing it being cooked, I was expecting the usual peanut sauce taste with the sate but this one tasted like curry. I honestly still prefer the usual sate taste since I love the peanut sauce so much. But this is definitely worth trying especially if you’re a big fan of curry. 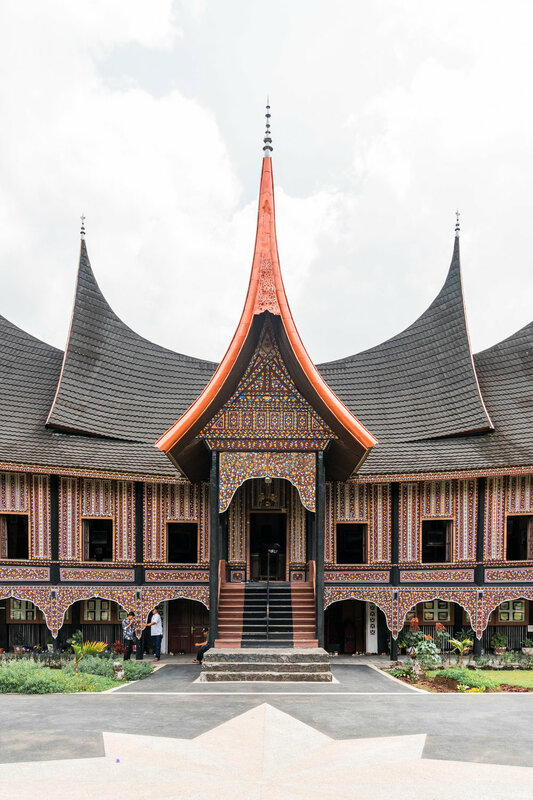 A long time ago, Java had a kingdom and wanted this place to also be part of their kingdom. So the kingdom of Java wanted a war so they can take this place and make it part of their kingdom but the people of this place didn't want a war so they agreed on a buffalo competition. So whoever wins, gets to keep this place. The thing is, in Java, there are huge buffalos and in West Sumatra, there were none. So they thought of something else to win against Java. They tied knives around the horns of the baby buffalo and starved the baby until the day of the match. On the day of the match, when they baby buffalo saw the big buffalo from Java, it thought that the big buffalo was its mother so it ran towards it and tried to feed on the big buffalo. Since there were knives on the baby buffalo's horns, naturally, it sliced the big buffalo's stomach and killed it. 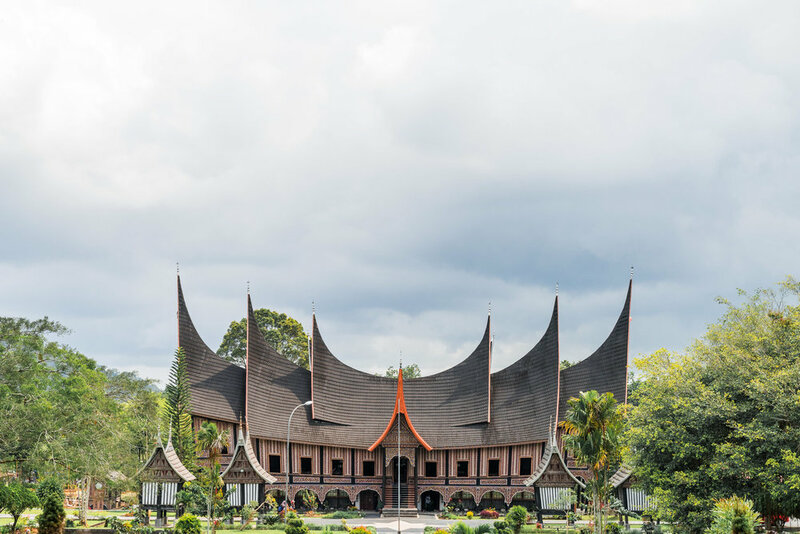 So since then, the name of the place was changed to Minangkabau which literally translates to Minang - won and kabau - buffalo. The shape of the roof is actually is reminiscent of the buffalo's horns. Before heading back to the hotel, we finally stumbled upon a martabak stall. Nicole (@thatfoodcray) told me about how good martabak is so naturally we all crowded the stall and freaked out. I have to admit, it was one of the best things I've eaten! 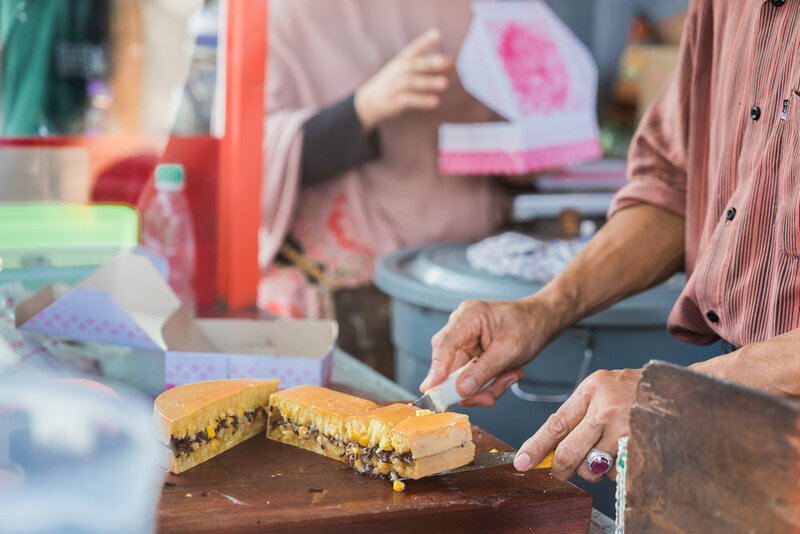 If you're ever in Indonesia and stumble upon a martabak manis stall, make sure to do yourself a favor and try it. 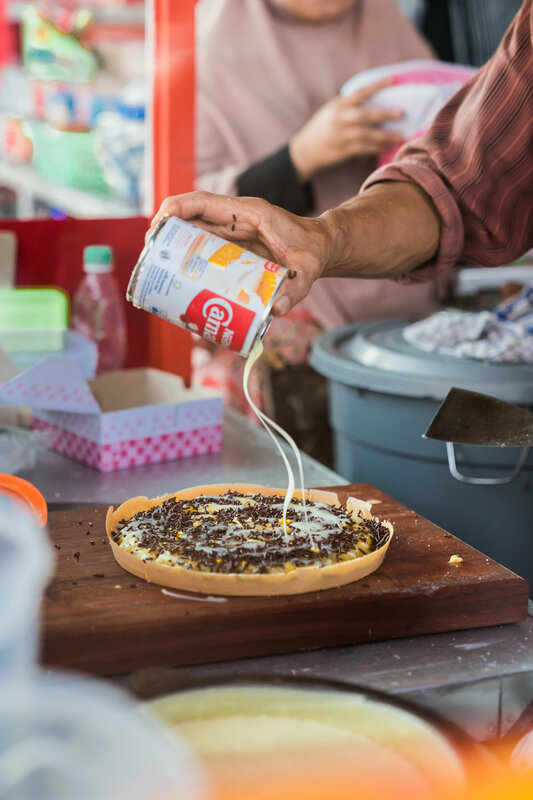 Editing the martabak photos wasn't easy at all! I was craving it the whole time I was editing haha! I need to learn how to make this at home. Before heading to our hotel, we stopped by Pandai Sikek to check out songkets. They also showed us how they are made. 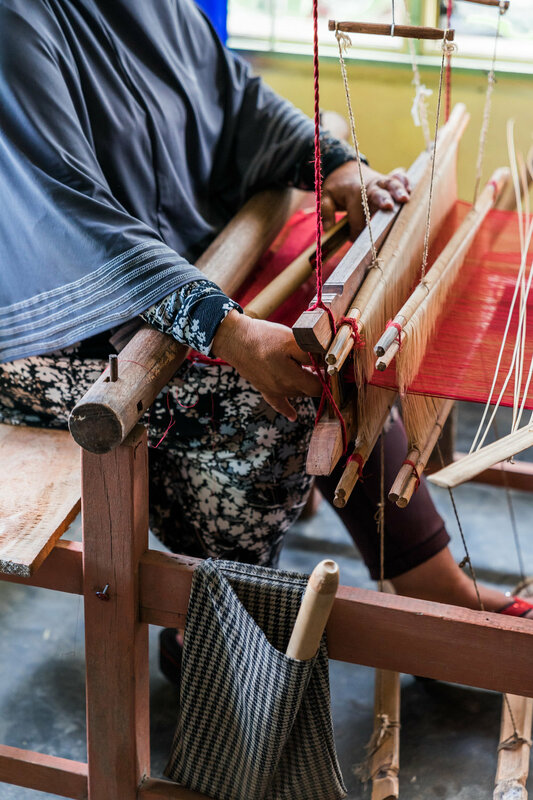 Most of these fabrics take almost a month or two to complete. The one Kurt (bloggers_boyfriend) is wearing is about IDR 9,000,000 or around 665 USD. Our following day started at a traditional market to buy ingredients for our cooking class that day. It was really nice to be able to explore the area. 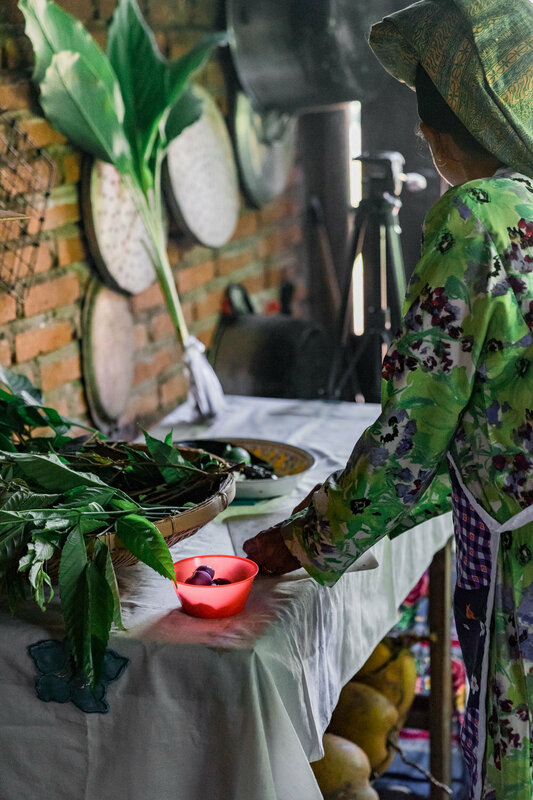 I loved how alive the market was and I got to see sambal being made! 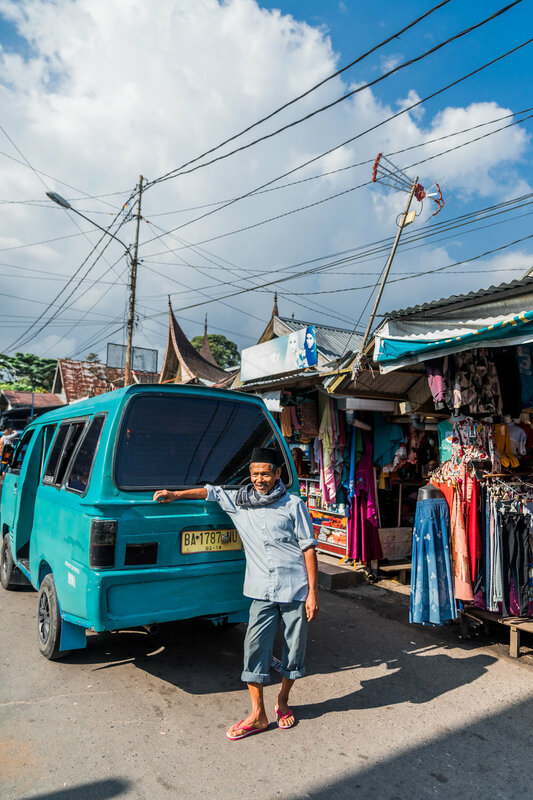 Funny thing too is when we were going around, I wasn't aware that one of the ladies (she is the lady pictured above) who were selling sambal in the market was talking to me. She thought I was Indonesian and she was asking my friend why I wasn't answering her. Good thing my friend was able to explain that I wasn't from Indonesia. After our market visit, we finally drove to Rendang Ibu Emi Payakumbuh where we were taught how to make Beef Rendang! 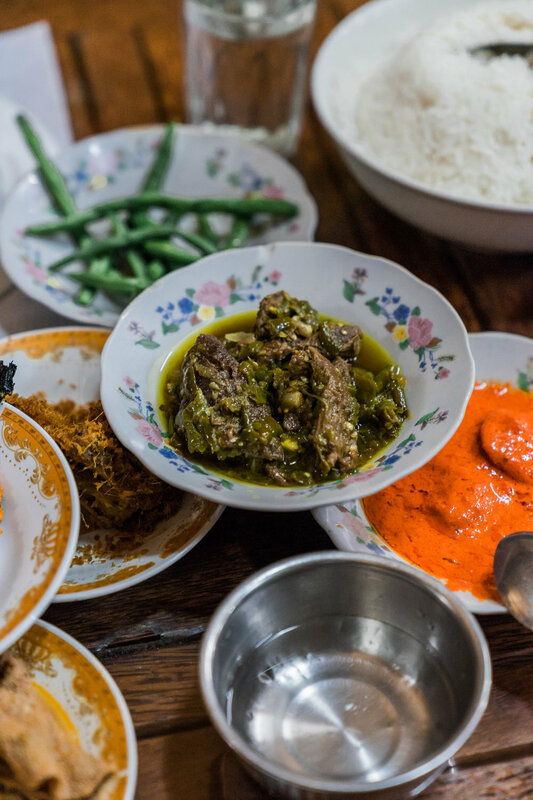 Quick trivia: Rendang actually originated in Minangkabau! During our cooking class, a couple of kids were curious about what was happening in Uni Emi's house. They approached one of our friends and told us they wanted to show us the rice paddy field behind their house. It was such an awesome sight to see! The people in the area were really nice too. One man even offered to get us coconuts from the tree so we can have something to drink! 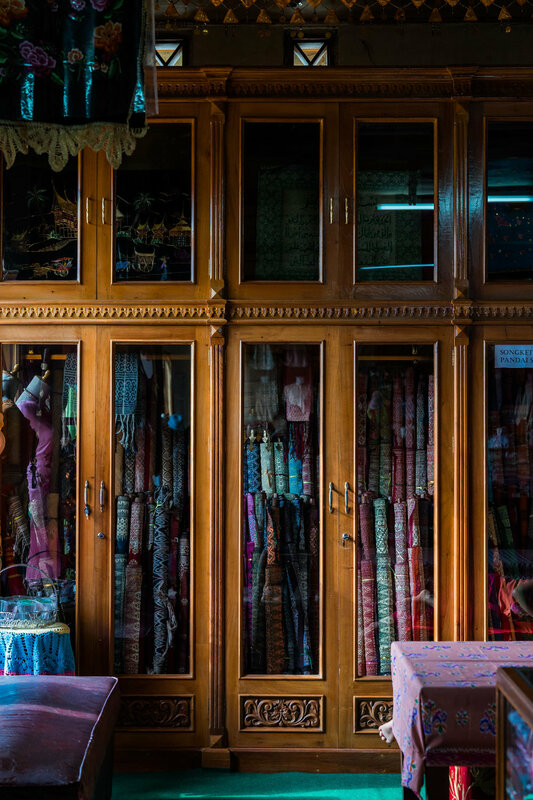 The rest of our afternoon was spent going around Bukittinggi having afternoon snakcs, seeing the nearby sights, riding a rickshaw, and shopping! Of course we had to get more martabak before leaving. That's it for our adventures around Padang. I hope you enjoyed reading and seeing the photos! We're off to explore Yogyakarta and Bali next!